Over the last decade, corporate social responsibility and sustainability has occupied a prominent place on the global corporate agenda, with an ever increasing number of corporations engaging in responsible and sustainable business practices to create social and business value. Nevertheless, from Nike’s sweatshop crisis in the 1990s, ethical controversies of Walmart in mid-2000s, to BP’s Deepwater Horizon oil spill in 2010, and now Volkswagen’s emissions scandal in 2015, we see that every few years a severe, high-profile corporate ethical scandal occurs, capturing the attention of the media and damaging the public’s trust in the corporations and their social accountability. On Jan. 4, the U.S. justice department sued Volkswagen in federal court, questioning Volkswagen’s efforts to restore its credibility and accusing the company of impeding and obstructing regulators’ inquiries and providing misleading information. Back in December 2015, Volkswagen characterized its emissions scandal as a “chain of mistakes,” which is a gross understatement. The company has equipped a staggering 11 million diesel cars since the 2009 model year with software – called a “defeat device” — used to cheat on emissions tests; when not being tested, the cars emit up to 40 times the allowable levels of nitrogen oxide pollution. This emissions scandal is a disturbing case of systematic corporate fraud that has harmed customers, governments, and the health and well-being of citizens in the societies in which Volkswagen has been given the license to operate. The effects of such corporate crises are profound and lasting. Volkswagen’s market value dropped by 23 percent in September 2015, after admitting diesel emissions cheat. The company’s sales in the U.S. declined almost 25 percent in November 2015 alone. The estimated total cost of the scandal is projected to exceed $8 billion. Much more difficult to estimate are the invisible and long term damages to the company, such as the negative impact on brand trust and reputation, customer satisfaction, employee morale and loyalty, and investor confidence. Trust, once lost, is notoriously hard to regain. Even more importantly, there is an externality effect. Deceptions such as those perpetrated by Volkswagen not only tarnish the reputation of other automakers and even corporations in unrelated industries, but they also undermine the public’s trust in the business, and heighten consumers’ cynicism about greenwashing – and now greenfrauding. It is yet to be seen if Volkswagen can salvage itself from the scandal. Its actions to date in handling this scandal are far from adequate. If history is a mirror, Volkswagen should draw lessons from companies that have encountered similar crises in the past. For example, Nike witnessed public outrage and massive consumer boycotts against its sweatshop labor practices in 1990s, and ever since has executed one of the greatest image turnarounds. Nike established and reinforced a code of conduct for labor practices, hired external professionals to audit its suppliers, and increased transparency of its labor practices by detailing its performance in its annual corporate social responsibility reports. Indeed, Nike has been applauded for its leadership in partnering with independent industry organizations, such as the Fair Labor Association, to foster industry-wide changes in building sustainable supply chains. If Volkswagen is to succeed in resurrecting its image, it should act decisively. It needs to accept full responsibility as an organization, not as a constellation of individuals, for its emissions scandal. It has to lay out a credible plan for how it will truly reduce emissions and verify its compliance with regulatory standards. It needs to counter its stigma by making significant, long-term R&D investment to position itself as a leader, rather than a laggard, in technology development to reduce emissions while enhancing performance. And, it needs to establish stronger accountability structures and practices, as well as fostering positive changes in its corporate culture, to hold the short-term profit motive in check and prevent any future fraud. Volkswagen gives us a stark lesson in how businesses should (not) approach social responsibility and sustainability. Deceiving stakeholders by paying lip-service and treating sustainability as façade is never going to deliver true value for the company nor for society. Indeed, as we have seen, it engenders significant costs. Research shows that business value is created when social responsibility and sustainability are embedded in the company’s culture and core business strategies. When done right, companies benefit from a more favorable corporate image, greater customer loyalty, higher employee morale, and enhanced organizational learning and core competence. And, in turn, societies benefit from harnessing the power and resources of corporations to address pressing social and environmental challenges. Dr. Shuili Du is a marketing professor at the Peter T. Paul College of Business and Economics, University of New Hampshire. Her research expertise lies in understanding various ways corporate social responsibility (CSR) and sustainability initiatives create business value. She has published research in many premier journals and has consulted to various corporations on their CSR and sustainability strategies. 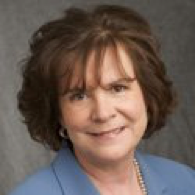 Dr. Deborah Merrill-Sands is Dean of the Peter T. Paul College of Business and Economics at the University of New Hampshire. Trained as an anthropologist, she is an expert in diversity and women and leadership. She has worked in the area of socially responsible business for the past 10 years. Prior to her career in academic administration, she worked internationally as an applied researcher on issues of food, poverty, and economic development. We are delighted to have Susan O’Neil and her team at @Website Publicity renew their membership with NHBSR. They are looking forward to re-engaging with the NHBSR community, recognizing that it’s important to play a role in the larger business community. We had a nice conversation with Susan recently that we’d like to share with you. Hopefully you’ll have a chance for your own conversation sometime this year. Susan’s story is one of the unexpected surprises that come from taking a leap of faith and making a change. In her case, she and her family left their home and community in Vermont and moved to Peterborough NH where her husband took a new job. Once her kids were settled into school, she began her own job search. Life-work balance was incredibly important and something she wanted to maintain as she moved forward. Ultimately, the opportunity that gave her this was working for herself. She hung out her own shingle and by doing so she was able to have both control over her work environment and her time. Her goal was to create a place that was a pleasant place to work and was family-friendly. Her shingle read: O’Neil & Associates Public Relations. Towards the end of 1997, when the web was gaining momentum a client asked Susan if she knew anything about websites. This question was the impetus for what Susan’s new direction would be—learning the tools that would help address clients' needs around publicizing their websites. Susan learned HTML, took a class on search engines, and began experimenting with words and phrases within the code on websites. Clients’ websites moved from obscurity to # 1 or 2 in Alta Vista within 24 hours. What appeared to be magic, actually was the result of a focused effort to learn new skills and putting them to the test. These efforts culminated with the creation of @Website Publicity, a highly professional company that focused on publicizing websites, not building then, through search engine optimization and public relations. SEM and SEO. What do these mean? Everyone would like to have their websites be at the top of a Google or Yahoo search. Through Search Engine Marketing (SEM) you have two options—through paid search ads or through a focus on the quality of your website content. Search Engine Optimization (SEO) is “the process of affecting the visibility of a website in a search engine’s unpaid results, often referred to as “natural” results.” Through the use of keywords and search terms a website can come up higher in the results, but this takes strategic effort. SEM and SEO are just two of the things that @Website Publicity helps clients with. You can read lots about their offerings on their website. Susan speaks more to the “why” of what they do versus the “what.” They believe that, when employees are allowed to put family first, they also take better care of their clients and co-workers. She believes transparency is critical for their team and clients. She and her team derive great satisfaction from helping their clients and they go home feeling good about what they accomplished at the end of the day. Susan’s team and office are based in Peterborough. However, Susan recently moved her base to Manchester. Susan is involved with a number of nonprofits, including Tech Women / Tech Girls, and believes strongly in mentoring and giving back to the community. And speaking of giving back…if you are a nonprofit you will want to stay tuned for an exciting announcement next week! Life is busy-that is no secret. Sometimes it's hard to step away from our day-to-day responsibilities to think about what we each might do beyond a given hour, day or week. What if for a few hours every month you could exchange an email for a smile, a conference call for a face-to-face conversation, or a keyboard for the opportunity to use your hands to help build something for a park or school? What if your company offered employees a community service program encouraging just this kind of participation and impact on corporate culture? Job seekers are now looking beyond a job description and more closely at an employer's reputation. In the workplace are employees given opportunities to learn, to volunteer within the community and collaborate with community partners? Is the company a good corporate citizen? Do they support causes that are important to their employees within the community, and are they thoughtful and responsible stewards of the environment? Organizations themselves are exploring ways in which to weave social responsibility into the fabric of their company, making it an integral part of how their company and employees learn and grow. It's possible to have a thriving business and 'do good' at the same time. Organizations who have been successful on this front have fostered a culture that teaches and strengthens both the individual and company, which is essential to attracting and retaining good employees. High-quality people want to work for similarly great organizations. We live in a world where bits and bytes are exchanged at an amazing speed, making business operations much more efficient and productive than they ever have been. However, with all of these ways we have to connect, sometimes it's difficult to have meaningful human interactions. But, it feels like change is in the air-people are seeking out these experiences-wanting to make meaningful connections both in and out of the workplace.
' Doing good' has long been a part of many organizations' commitment to their community, but as we've seen and read, there are some who have begun to distance themselves from the pack by making philanthropy through engagement a way of life. It's no longer just about doing good--its how business is being done. We invite you to think about your own company. Is there a particular social impact area that relates to your business that you could address as a company? Speak with your employees and invite them to be part of the conversation. Leaders in this arena stress that it's important to concentrate one's efforts on a single issue. What is yours? How will you choose to engage and encourage others to join you? Please let us know your thoughts by posting a comment. Every year all associates at our company participate in an engagement survey that helps us understand where our opportunities and accomplishments are. For the last several years the strongest positive driver of engagement has been our organization’s focus on corporate social responsibility principles, specifically our commitment to our communities and the environment. Our volunteering benefit is the cornerstone to our community engagement and therefore a major driver for helping us develop a positive culture at Hypertherm. 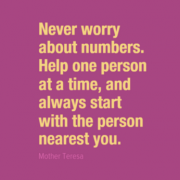 Our story is a simple one, ask associates where they want to volunteer and help connect them to those volunteer opportunities. Our model is built on personal choice, associates decide where and how they want to give back. Some choose to stay within their skill sets and participate in skills based volunteering i.e., our recruiting team helping high school students with resumes and mock interviewing or our engineers participating in Lego competitions as team coaches or judges. 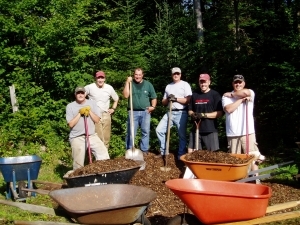 But sometimes associates want to do anything but the work they do all the time for Hypertherm and so they may participate in trail clearing projects, roof repair for a low income homeowner, or stocking shelves at a food pantry. Personal choice is the beauty of our program and how we have achieved almost 80% volunteer participation through November 2014. Every associate at Hypertherm is given 24 hours of paid volunteer time per year. This year 1,065 associates have volunteered for a total of 15,800 hours, an average of almost 15 hours per volunteer. Associates become passionate about an organization and often volunteer above and beyond that time on their own. This year we started a Hypertherm Community Hero Award to reward that above and beyond behavior. It has been remarkable to see how volunteering in groups has improved team relationships. These groups could be made up of associates who generally work together in a given work day or they could be from various parts of the organization. Leaders no longer pay for “team building” activities. Leaders have learned that by scheduling a group Community Service Time project they will increase team communication, engagement, effectiveness and satisfaction. Breaking down barriers and working together for a common cause naturally brings people together. As these photos show, there is much comradery that builds when we volunteer in teams. Our volunteering has a shared impact on our associates, our communities, and our business. We see our associates build compassion for others and return to work with a renewed sense of purpose and fulfillment. We see communities transformed by their collective generosity of spirit and prosper and thrive in sustained ways that can support our business. If you would like to explore the opportunities for creating or expanding your volunteering efforts, email Michelle. We will be holding a Volunteer Fair in early 2015 and inviting member businesses and employees to attend! Today scores of coastal communities in the United States are seeing more frequent tidal flooding. And as global warming drives sea levels higher over the next 15 to 30 years, flooding from high tides is expected to occur even more often and cause more disruption, particularly on the East Coast and, increasingly, on the Gulf Coast. Encroaching Tides: How Sea Level Rise and Tidal Flooding Threaten U.S. East and Gulf Coast Communities over the Next 30 Years, a new report from the Union of Concerned Scientists, shows how coastal communities could be affected, and makes recommendations on how they can increase their resilience. Portsmouth is profiled on page 22. The analysis explores projected changes in tidal flooding under a mid-range scenario of sea level rise, and the implications for East and Gulf Coast communities in the absence of adaptive measures. Over the next 15 to 30 years, the frequency, extent, and duration of tidal flooding could increase substantially in many of the 52 locations we examined. By 2045, within the lifetime of a 30-year mortgage, many coastal communities are expected to see roughly one foot of sea level rise. As that occurs, one-third of the 52 locations in our analysis would start to face tidal flooding more than 180 times a year, on average. Nine locations can expect to see tidal flooding 240 times or more per year. While today this type of flooding is typically considered a nuisance, if it becomes chronic, its impact on local communities would grow. And with sea level rise, some tidal floods are also expected to become much more extensive. To prepare for these changes, local communities will have to take steps to upgrade built infrastructure, discourage new development in areas that flood more often, and carefully weigh the risks and benefits of adaptation measures. But local communities can't go it alone-coastal challenges are too great, the costs are too steep, and too many people are at risk. Instead, we need a coordinated, well-funded national response to our country's coastal vulnerability involving federal, state, and local collaboration. And while the near-term increase in sea level rise and tidal flood conditions outlined in this report may be locked-in, changes later this century and beyond are not fixed. We can avoid longer-term impacts by taking swift and strong measures to reduce our carbon pollution. On September 12 the New Hampshire Coastal Risks and Hazards Commission released a report on sea level rise, storm surge and precipitation. The commission requested the report from a Science and Technical Advisory Panel that it formed earlier in the year. The purpose was to ensure that commission members are aware of and using the best available and most relevant scientific and technical information to inform its recommendations to the Governor in 2016. 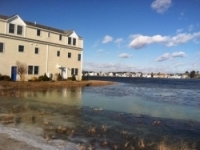 The report, “Sea-level Rise, Storm Surges, and Extreme Precipitation in Coastal New Hampshire: Analysis of Past and Projected Future Trends” summarizes the varying scientific information on the anticipated future coastal flood hazards attributed to sea level rise (SLR), storm surge, and increased precipitation. The Panel’s report also includes advice on the planning parameters that the Commission should use in framing its recommendations. The conclusions reached by the Panel regarding future coastal flood hazards are consistent with the Third U.S. National Climate Assessment completed in 2013-2014. The New Hampshire report is available here. Read more about Is Your Organization Ready? Is Creating Shared Value Idealistic or Realistic? Creating Shared Value (CSV) seems like a very idealistic approach at first glance. Is it realistic to think that a business can realize growth and opportunity while addressing societal needs? There are several companies who think so. Let’s take a step back – what does it mean to Create Shared Value anyway? The term is commonly attributed to Michael Porter and Mark Kramer, authors of "Creating Shared Value: Redefining Capitalism and the Role of the Corporation in Society"1. CSV recognizes the interdependence of a business’ sustainability with the health of its community and society at large. In its purest sense, CSV builds innovative approaches to not only create profit and opportunity for a company, and in the process, address societal needs. Porter and Kramer identify three ways that companies can innovate and create shared value: reimagine your market and product offerings, redefine productivity in your value chain, and/or “enable local cluster development” (e.g. supporting programs that meet the educational requirements of your business, affordable housing for your employees, supporting suppliers that pay their employees a fair wage, etc.) A link to their article can be found below. Triple Pundit recently published a great example of CSV in an article about the “Give Back Box”, a program created by the founder of StyleUpGirl.com, Monika Wiela. She passed a homeless man on her way to work in Chicago holding a sign requesting a pair of shoes. She was frustrated that she could only provide women’s shoes from her warehouse. Wiela continued to search for ideas and was struck with the opportunity empty shipping boxes provided. What if customers could ship back boxes filled with charitable donations? Give Back Box was born. Now she, Overstock.com and Newegg.com include shipping labels addressed to secondhand charitable organizations in their product shipments. (Anyone can ship donations in any retailer’s box by printing a shipping label at GiveBackBox.com.) With over 30 million tons of cardboard used every year, Give Back Box creates shared value, providing a great opportunity for reuse and addressing declining charitable donations of clothing and household items. NHBSR’s Just One Thing stories have uncovered examples in New Hampshire too! Tom Strickland wanted to find a way to help nonprofits in his community, but with a small company, he had to find a way to do it without undermining the productivity of his limited staff. Sequoya Technologies Group created Sequoya Seeds, a program allowing paying customers to select a nonprofit in the Monadnock region to receive technical services equal to 5 percent of the customer’s bill. The impact has been significant, for several Monadnock area nonprofits and Sequoya. The nonprofits have been able to increase their technological capabilities and/or reduce operating expenses. The program automatically sizes itself to the revenue stream, never outpacing capability and has resulted in new business for Sequoya. Monadnock Paper Mill used to send 95%, or over 1,200 tons per year, of its short-paper fiber (a by-product of manufacturing) to the landfill. Several years ago, through product substitution, MPM was able to change this by-product into a nutrient rich, safe material which is perfect for use as compost, soil amendment and animal bedding. In 2006, a local farm lost all of its farmland to flooding and the cost of replacing the soil was prohibitive. MPM’ s short-paper fiber met a local need and sheep are once again grazing on lush farmland. Now, 100% of this by-product is reused to enhance farming throughout the state and MPM has reduced its landfill costs. These are great examples of rethinking business processes to create shared value. A need in the community is met with a creative business solution. Where could you leverage your business to create shared value? Share your ideas below, submit your stories to our Just One Thing campaign or read the Just One Thing storyboard! 1 Creating Shared Value: Redefining Capitalism and the Role of the Corporation in Society by Michael Porter and Mark Kramer can be downloaded for free from the Shared Value Initiative. 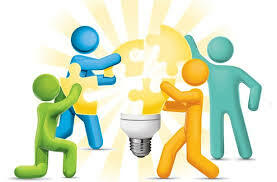 Read more about Is Creating Shared Value Idealistic or Realistic? 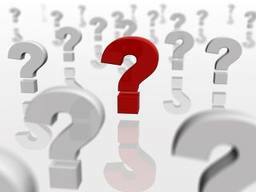 Should My Company Publish a Sustainability Report? In March of 2013, Thornton Tomasetti released its inaugural sustainability report. The report provided an opportunity to update our employees on the progress we made towards our corporate sustainability goals. 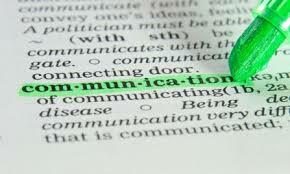 It also improved our ability to communicate with external audiences interested in our business practices. Previously we had published an abbreviated report within the pages of our annual report; a comprehensive, stand-alone sustainability report brought attention to the information and allowed us to share it in compelling way. Click here to view Thornton Tomasetti’s 2013 Sustainability Report. Since its launch, the report has been successful in sparking interest. Internally, employees have asked how to get more involved, and the report has increased executive buy-in by reflecting back upon our progress and goals in a way that inspires. Externally, it has piqued the interest of clients and potential partners, especially those looking to learn more about sustainable business practices and building designs. We also received a request from a trade publication to contribute a piece about our sustainability commitments. Corporate sustainability reporting has become commonplace for companies across industries in recent years. It is changing from a “nice to have” to something that is expected by consumers and stakeholders. One study found that 53 percent of S&P 500 companies published sustainability reports in 2011, compared to only 19 percent in 2010, and that number continues to grow. Sustainability reporting has not yet become standard practice in the architecture and engineering industry, but a growing number of companies are publishing reports. There are many different approaches to sustainability reporting, which often depend on a company’s size and target audience. Large, publically traded companies typically report to investors and environmentally minded shareholders to show how they are proactively identifying risks and putting processes in place to mitigate them. The guidelines established by the Global Reporting Initiative, or GRI, have become a standard model for these firms because investors can easily review and compare companies. But for companies focused mainly on other outcomes – such as educating employees and communicating to clients, as Thornton Tomasetti is – the GRI model may not be a necessity. Our 2013 sustainability report is an 11-page snapshot of how our business realizes its commitment to environmental sustainability and social responsibility. Our goal was to consolidate the most relevant information in a way that is informative, easily digestible and visually appealing. So how do you decide the best approach for your company? Our fast-paced world increasingly revolves around short narratives with captivating visuals, so keep your audience in mind. A short report highlighting key efforts could be more accessible than a long report outlining every detail of your business practices. Click here to read the views of sustainability reporting experts on this evolving practice. An important concept when creating a sustainability report, whichever framework you choose, is materiality. Your report should focus on topics that are most connected to your business. In a recent article, the associate director of Corporate Citizenship said, “Report what matters to the people that matter, and the rest will follow naturally.” The article explains how even GRI is moving away from a prescriptive approach in its upcoming G4 guidelines to give companies more autonomy over how to report on what is meaningful to them. Another key aspect of sustainability reporting is goal setting. It is difficult for a company to set tangible goals for business operations, and even harder to explain these goals in a way that provides concrete steps for reaching them. Therefore, articulating clear goals, tracking performance and being transparent about progress makes it much easier to engage any audience. At Thornton Tomasetti, goal-setting was a major prerequisite to our report; now we have meaningful data and detailed steps on how to stay on track for success. Read about Campbell’s recent sustainability report for another example of effective goal setting. Finally, you must report with balanced transparency. Some people think a sustainability report should only tell the story of a company “doing good,” but this approach limits your ability to address issues and plan for improvement. For example, gloating about how much you donate to charity, rather than discussing the environmental impact or community benefits of your business practices, blurs the lines of a company’s priorities. Corporate sustainability can’t be acquired just by writing a check; companies must tie actions back to business goals and strategically integrate these actions into their core values. This type of transparency better equips a company to identify and manage risks that are most impactful to future success. Embarking on an inaugural sustainability report can be daunting, but good preparation will provide a strong framework for getting started. Being diligent about collecting data, setting goals, tracking progress and involving a variety of stakeholders will arm you with the information you need to showcase the purpose and impact of your work in a meaningful way. Click here to view a list of more sustainability reporting tips to help you get started! Have you created a sustainability/CSR report? 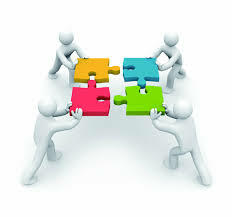 Has it increased your engagement with stakeholders (employees, customers, suppliers, shareholders, community, etc.)? Read more about Should My Company Publish a Sustainability Report? This experience may be familiar to you: I attend a meeting and walk in feeling I have a full plate and do not want to take anything more on. As we get deeper into the conversations and explore an area of mutual interest and what can be done, an excitement builds about possible work we can do together. An idea emerges that I get enthused about and before I know it, I find myself volunteering to take on some action items. Even though I am busy, I was motivated to somehow find time to devote to it. This choice to commit came from my intrinsic motivation, not from a boss telling me I have to do this. This is the spark that we want to light when we work with people and design meetings, initiatives, and work structures. It is particularly important for developing and implementing corporate responsibility strategies, which inherently need the input and engagement of people across many functions and skills sets. From Convincing to Co-Creating: In the traditional view of leadership, a leader is one who has a vision and builds buy-in from others to help engage and implement it. In practice, this can feel like trying to convince and cajole people to get on board with our priorities. We focus on “building the case,” messaging, creating mandates and accountability structures, incentives, and audits to monitor behavior – essentially creating a range of external motivators to get other people to behave in ways we want. In contrast, the emerging view of leadership is participatory and designed to spark people’s intrinsic motivation to participate. We focus on creating the context and process to enable a group to collectively decide the vision, course of action, and continually learn together and adjust course over time. Instead of one part of the organization convincing another, more integrated solutions are co-created drawing on a diversity of perspectives and expertise. Work is structured to enable fluid collaboration and teamwork where each person or part of the company works from their strengths to generate a whole greate r than the sum of its parts. Convene Conversations: Getting all minds working on what needs to change calls for new ways of convening meetings. Most of the preparation time is to get the question right, invite a diverse mix of people, and create a quality of space where they can really talk. The Art of Hosting is a resource of these types of innovative facilitation techniques that capture the collective intelligence of a group, such as World Café, Open Space, and Proaction Café. The aim is to create the fertile ground for peoples’ perspectives and ideas to connect, combine, seed, and take root. Working in this way can stretch us beyond our comfort zone and takes some practice. Instead of being the professional with the answers, we have to learn to sit with questions we do not know the answers to and trust the group and the process. It is not easy to walk into a meeting and have no idea what the outcome will be. We have to build our capacity to be comfortable with uncertainty. Stretching like this is worth it, as I can attest. It is a great feeling when a promising new idea emerges and you can sense the spark of excitement of people in the room to take it forward. So, take a chance and submit a question for a possible Huddle Up discussion at our Spring Conference. 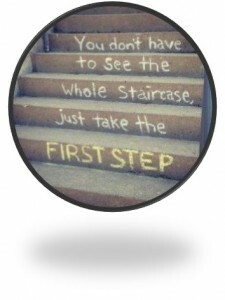 Stretch beyond your comfort zone - it will be worth it! Sometimes, it takes only one thing to be remarkable. 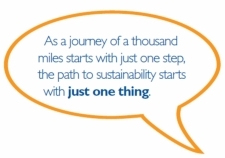 The concept behind Just One Thing seeks to motivate businesses, with stories from their peers, to carry out one sustainability initiative - that one attainable idea that creates shared value, whether it benefits your employees, the community or the environment. But what if this one attainable idea, also helped grow your revenue stream? As consumers, the influencer that is so fundamental to the way we choose products and services, is also one of the most overlooked ‘tactics’ in the marketing world: having a product or service that is remarkable, or worth sharing. Does your company strive to deliver a remarkable product or service? Do you feel like you are pushing your product or service on the consumer or is what you offer so extraordinary that it markets itself, being talked about and shared within your current customers’ larger networks. By “shared” I am not referring to how many ‘likes’ your company has on Facebook, or re-tweets on Twitter, I am talking about the verbal referrals we give to our friends, family and colleagues when we’ve just had a great experience. Remarkable doesn’t happen overnight, but it can be built with small steps - maybe a customer service initiative, or an employee program that sparks employees to spread how satisfying their work life is, or even a financial commitment for a community cause. Not only will the parties affected share their satisfaction with others, they will share it with YOU – and there is nothing wrong with feeling good about what you do. If I could predict one marketing trend that will continue to spread it will be the one that taps into our human instinct to discover and share. Don’t push annoying banner ads on your potential customers - impress the ones you already have by doing Just One Thing at your company to prove you’re worth talking about. Your bottom line will thank you. Becky Holt is a Public Relations Account Executive at Calypso Communications in Portsmouth. 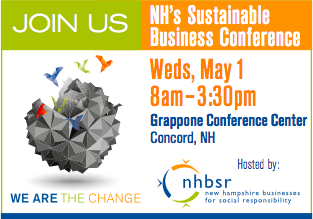 Help foster more sustainable business in New Hampshire by sharing your sustainability story, visit our Just One Thing page to find out how! Read more about Sometimes, it takes only one thing to be remarkable.